A welcome change from the usual. 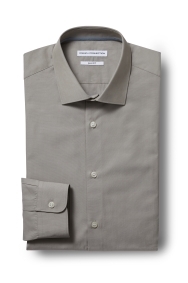 This shirt will give your smart outfits some extra interest with its deep yet versatile tone. It will go with all sorts of shades, both light and dark, and the slim fit means you’ll have a defined shape whether you wear it with or without a jacket. 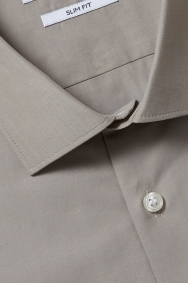 The 100% cotton material is both soft and breathable. Team with a navy, neutral or black suit and leave it open necked for a relaxed look. Add a pocket square in navy or grey to complete your outfit for formal occasions.